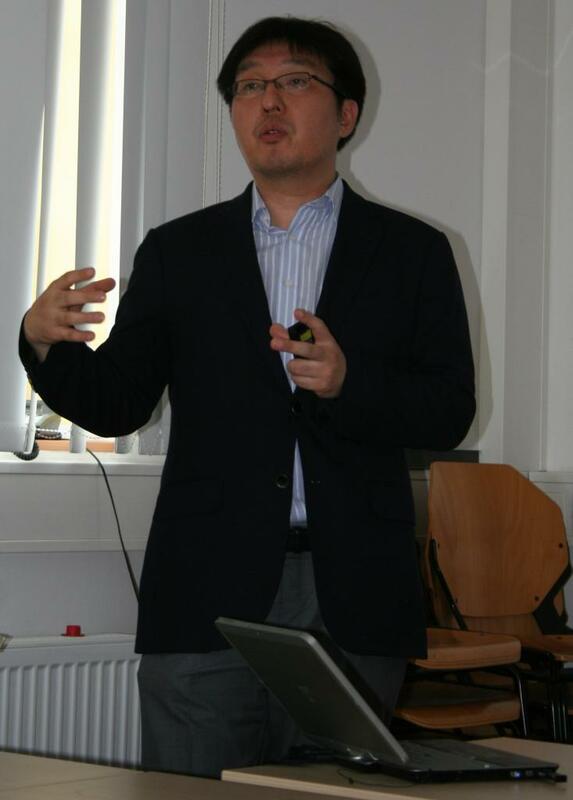 Prof. Han-Gyun Woo (UNIST, Ulsan, Korea) has arrived at WWU for a research visit. During a period of three weeks, we plan to initiate a student exchange program between UNIST and WWU in the IS Masters' Program. In addition, we will further boost initiatives for joint research in the subject areas of "Business Process Management" and "B2C Service Innovation". Both areas fit well into the research agendas of both work groups. The Ulsan National Institute of Science and Technology (UNIST) is a national university that was founded near Ulsan, Korea, in 2010. Ulsan is considered the most important industrial city in Korea and offers a unique environment for establishing joint research structures with major industrial companies. Amongst others, the largest shipyard and the largest automobile assembly plant of the world are located in vicinity of the campus. One focus of the School of Technology Management is the development of process mining algorithms for analysis business process instances. Find out more about Prof. Woo and about UNIST here.